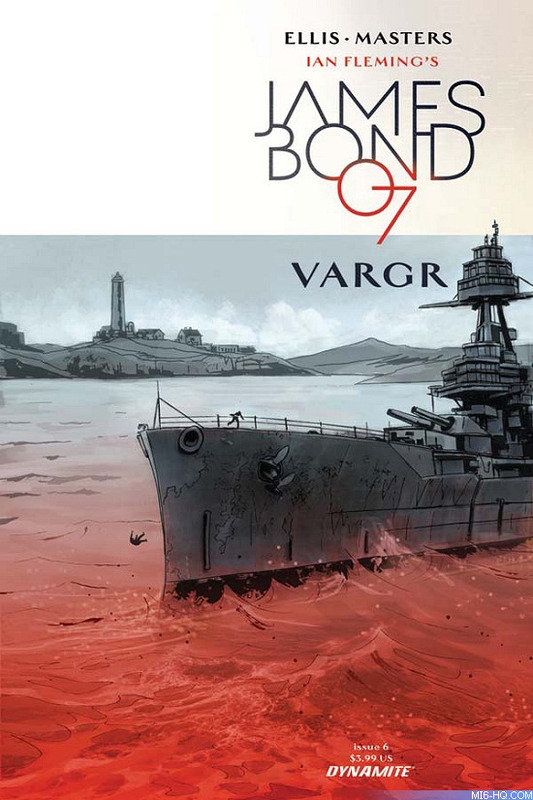 Dynamite Comics launched the new James Bond comic book series 'VARGR' on November 4th 2015 with issue one of 'VARGR'. Here is the first look at the cover artwork for issue six, again by artist Dom Reardon, which goes on sale in April 2016. The secret of VARGR is revealed, and it means that Bond has to descend into a nightmare scenario - alone. Just his gun and his skills versus a murderous conspiracy to turn Britain into a testing zone for death drugs. Dynamite Entertainment proudly continues the first James Bond comic book series in over 20 years!